We enjoyed a fantastically eclectic discourse at the “Irish-German Connections in Motion” Conference in University of Limerick’s Irish World Academy of Music and Dance on October 31st and November 1st – simultaneously honouring Berlin-based (and Longford-born), choreographer Marguerite Donlon, and inspired by the interdisciplinary nature of 1940s Irish-German Modern Dance Pioneer (whose father, Terence Brady, was a former priest from Cavan), Erina Brady. From Jan Frohburg’s insights on Hellerau’s Modernist Architecture and Dance, to Joachim Fischer on Ardnacrusha and the epic dance in Fritz Lang’s Metropolis (highlighting its 1920s Limerick screening), Simon Walker, and Tanja Poppelreuter on Mies Van der Rohe – we covered great modernist ground in the conference. 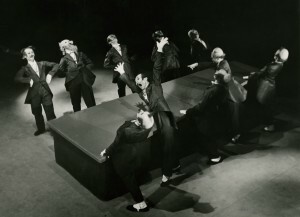 Topics ranged from Christiane Schoenfeld on iconoclastic Weimar dancer Anita Berber to Shane O’Toole on Cork-born modernist architect Noel Moffett, (married to Erina Brady’s dancer Margot Moffett), who tutored June Fryer and Jacqueline Robinson in Architecture as part of their all-round education at Brady’s Irish School of Dance Art in 39 Harcourt Street. 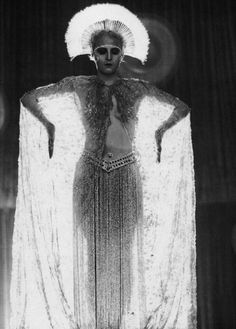 I was delighted to hear Gisela Holfter bring my extraordinary late friend Agnes Bernelle into the conversation, as well as Kurt Jooss’s Ballets Jooss. 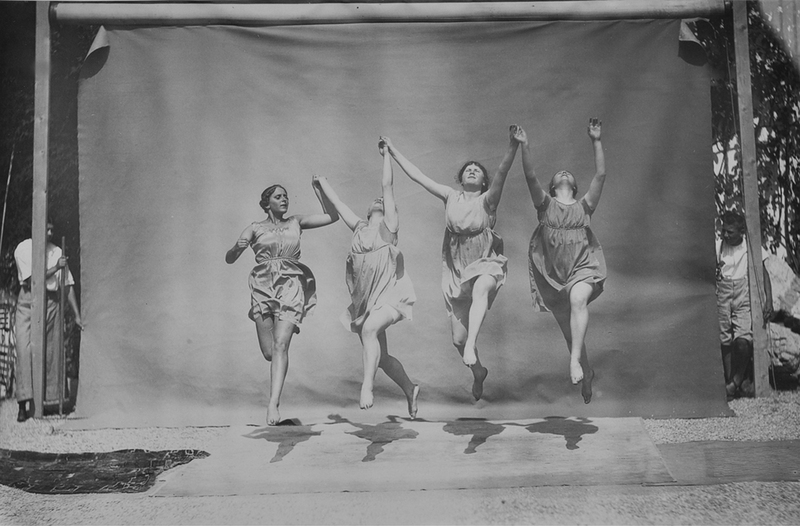 I would pick up on Jooss’ epic anti-war ballet The Green Table in my talk, referring to Patrick Scott’s serendipitous encounter with the company at the outbreak of the war, as well as company member Walter Kuhn (husband of June Fryer, Ireland’s first modern dancer), who danced the role of the young soldier, and who just celebrated his 92nd birthday in Dublin where he lives to this day. 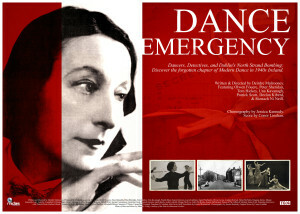 Esteemed German dance theorist and historian Lucia Ruprecht also contributed. 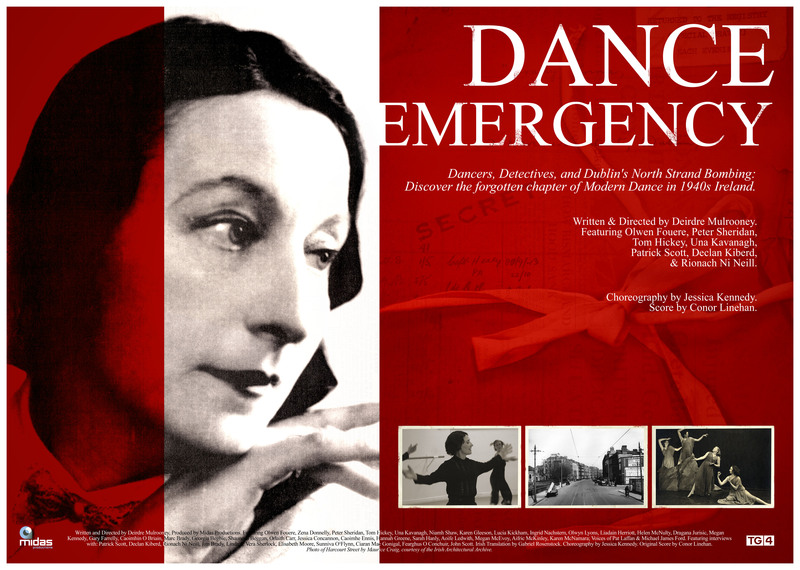 After the October 31st screening of “Dance Emergency”, I delivered the keynote lecture “Erina Brady – Forgotten Pioneer of Modern Dance”, followed by a discussion chaired by Sarah Moore with myself and her mother, Elizabeth Moore (nee O’Dea) a former pupil of Brady’s, who features in Dance Emergency. Pity we have no photographs of this! Other fascinating interdisciplinary talks ranged from University of Oxford’s Sue Jones on Samuel Beckett’s ‘Quad’, and Oskar Schlemmer, to Siobhan Purcell of NUIG’s fascinating paper on the rhythm of Lucia Joyce’s drawings, followed by the screening of Wim Wenders’ PINA 3D (introduced by myself – author of ‘Orientalism, Orientation, and the Nomadic Work of Pina Bausch‘). Meg Harper’s contribution on Yeats and Dance, beamed from California where she is on sabbatical, was a revelation. Renowned Berlin-based choreographer Marguerite Donlon, who was being honoured at the conference for her considerable opus inspired an exhibition by the National Dance Archive, gave a talk on her work, and we concluded the conference with a showing of her impressive weekend collaboration with UL dance students. As esteemed dance academic and historian Susan Manning commented, and I hope she doesn’t mind me quoting from her email correspondence, ‘I’m impressed by the topic of the conference. Believe me, a decade ago dance would not have been the subject for such a collaborative exchange’. It was an intense and inspiring two days, which provided plenty Irish-German food for thought for a long time to come. As you can probably tell, I am still processing it all, and will be for some time. Many thanks to all involved.